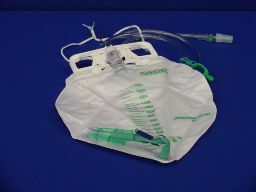 A sterile center entry urine bag for night drainage. Includes an anti-reflux device and a double hook hanger. Bard Safe Sampling port allows for a needle-free aspiration.